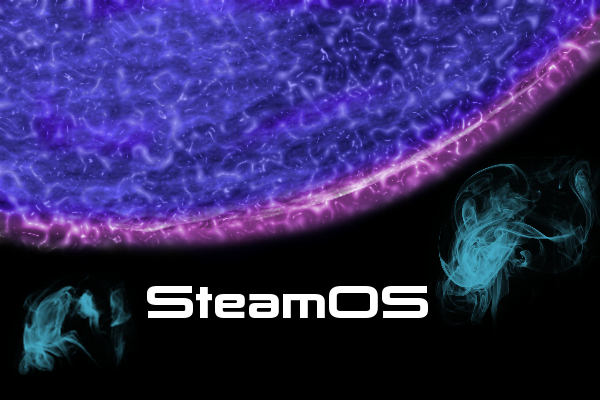 Valve Corporation recently announced their own operating system streamlined for games called SteamOS. With SteamOS Valve wants to bring their popular online gaming platform Steam (with 50 millions accounts) into the living room. Valve already had developed an interface, Big Picture mode, to make Steam more accessible on a typical living room gaming setup: a television and gamepad controller. SteamOS will be an open source project, free to download, Linux based and the source code will be available to its users. Making the source code available is “…a rarity in the industry where software makers zealously guard the source code as intellectual property (Krishnamurthy 2007, p. 280).” So why would Valve, a commercial gaming corporation use open source business model for their operating system? “In making the source code freely available, a large number of developers are able to work on the product. The result is a community of developers spread around the world working to better a product (Feller, Krishnamurthy 2007, p. 287).” By including the users Valve can benefit from the advantages of open source technology: robustness, flexibility to user and support from a community (Feller, Krishnamurthy 2007). With SteamOS Valve is trying to create value for all. It will not only benefit the users who are able to customize the operating system. Valve will also benefit from it, since they don’t have to do all the work if users come up with significant improvements to the system to suits their needs, Valve can then implant those improvement in the downloadable version of SteamOS, so that new users get the best performing version of the operating system. Valve can then add value to their services by better interlinking their products (Steam and its components, SteamOS, Steam Machines hardware). “In order for innovation to happen, a bunch of things that aren’t happening on closed platforms need to occur. Valve wouldn’t exist today without the PC, or Epic, or Zynga, or Google. They all wouldn’t have existed without the openness of the platform’’ says Valve’s managing director Gabe Newell at allthingsd.com. According to tech guru and open source advocate Tim O’Reilly open source development is an expression of three trends. First there is the commoditization (not to be confused with commodification) that leads software to lose value over time. Valve started out as a game developer, creating games that can be seen as an artifact, a finished object. However, software is not enough to sustain a business and one needs to built an service around it to (Feller, Krishnamurthy 2007, O’Reilly 2007). Steam/SteamOS is that service. Second, collaboration is key ‘as network-enabled conversations become a principle carried of new ideas’ where companies must put consistent effort in overlaying their systems with an architecture of participation. Third, ‘customizability is an essential concomitant of software as service’. Some forms of software such as games can be a product, software as a service needs to be an process where components need to be constantly (re-)engineered (Feller, O’Reilly 2007). “Everything we are doing is not going to matter in the future… We think about knitting together a platform for productivity, which sounds kind of weird, but what we are interested in is bringing together a platform where people’s actions create value for other people when they play’’, says Newell. Valve seems to well understand that their services are an ongoing process where they can let the community do some of the work creating value for themselves and Valve. Their immense popularity among its users may very well push Linux based operating systems into the living room, possibly circumventing Microsoft’s dominant position in the operating system market. O’Reilly tells the story of how IBM in 1981 caused a paradigm shift when their architecture became the standard. They licensed a small company called Microsoft the right to resell the software, a small part of the industry, which was normally bundled with hardware. But soon software took command and Microsoft became the dominant player. IBM had failed to understand the unforeseen consequences of their decision and let Microsoft reap the benefits (Feller, O’Reilly 2007). Valve should surely not make that mistake and considering their active community engagement they might just cause a much needed paradigm shift in the game industry. Feller, Joseph et al., eds. Perspectives on Free and Open Source Software. Cambridge: The MIT Press, 2007. Tcakz, Nathaniel. ‘From Open Source to Open Government: A Critique of Open Politics.’ Ephemera articles, theory & politics in organization. vol 12, nr. 4 (2012): p. 386 – 405.